FINISH your 2018 Online Tax Return in 10 minutes - ONLY $29! You have a team of accountants at your disposal while you enter your information. The messaging system is included and is designed to make it easy for you to connect and communicate. Grab your payment summary and breeze through your 2018 return. 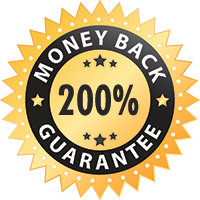 Have your guaranteed refund direct deposited into your bank account and get back to the better things in life. Our secure application has been created to work in the cloud and on any device. The Deduction Mate and support from our accountants make sure you don't miss out on the biggest refund available. We also help ensure you steer clear of any 'dodgy deductions'. You'll have an easy to use online messaging system that makes it easy to connect with us on a regular basis. You can also upload documents directly and securely. Our team of Registered Tax Agents review your return to ensure accuracy. 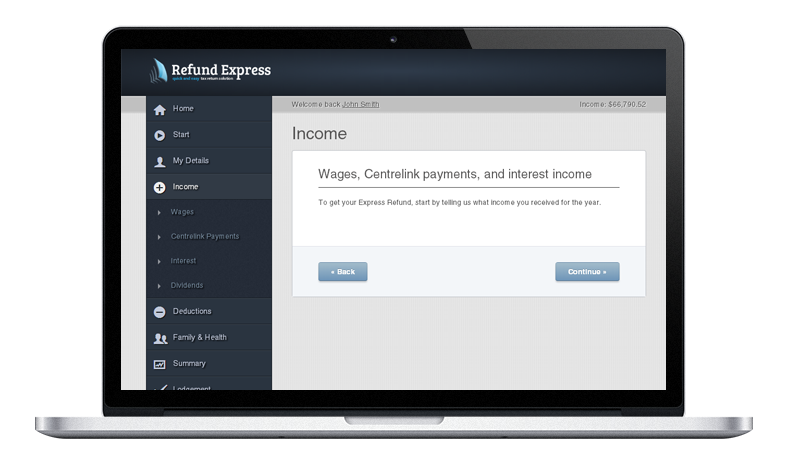 Our mission is to get your Online Tax Return filed sooner and with confidently. Pay by Refund or by Credit Card, it's your choice. We use the latest in securing your data, and credit cards are all processed by a leading edge firm Braintree. Lodging your Tax Return is now easy to understand. 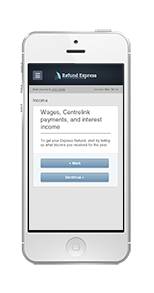 The Deduction Mate, along with our messaging system, helps get you the Maximum Refund you deserve. Don't leave a tip for the ATO!